9th September 2013 – The AFEX, Asia Food Expo, will take place in Manila, Philippines. 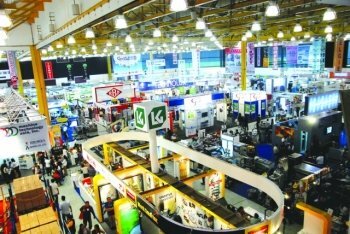 It is a yearly exposition for new ideas and technologies for food and beverage industry. It represents the right marketplace to discover local suppliers, products and solutions studied and proposed for the sector. Last AFEX edition reached over 40.000 trade business visitors and 557 exhibiting companies. Brownstone Asia-Tech is the Asian CDR FoodLab® supplier participating at the event. Since 1996 it serves almost all industry sectors in Philippines that sells materials testing, analytical and laboratory equipment. In fact Brownstone Asia-Tech experience ranges over Microbiological Testing, Water Testing, Environmental testing, General Laboratory testing and obviously Food Testing. CDR FoodLab® line will be displayed by Brownstone amongst the other innovative ideas for Food and Beverage Industry. The Asian supplier will offer assistance and support to everyone interested in our instruments, made for analyzing foodstuff in a rapid and simple way. Brownstone will be showcasing our products at Booth No 546 of the World Trade Center of Manila, the AFEX venue, from 11th to 14th September. Food analysis with CDR FoodLab line in Manila, 9th September 2013 was last modified: May 25th, 2017 by CDR s.r.l.